For my first 4k peaks, I was planning on doing the Tom, Field, Willey route. This was recommended by a few people on the TARC Facebook page as a good “bad weather” option. Since T-Storms were in the forecast for the afternoon, I bagged the idea of going right for the jugular and attempting Washington. So Tom, Field, Willey was the plan up until about 9pm when Jay Kelly contacted me and said he was driving up in the morning to do The Kinsmans and Cannon, and wanted to know if I wanted to join him. I’m obviously new to this stuff, but common sense seems to dictate that two is better than one in the mountains, so I changed plans and met up with Jay. We parked a car at the Cannon Tramway parking lot and drove to the Lafayette Campground lot to do the hike. The plan was to follow a recommended route that Jay found from the Backpacking Engineer blog. Lonesome Lake trail to the AMC hut at Lonesome Lake. 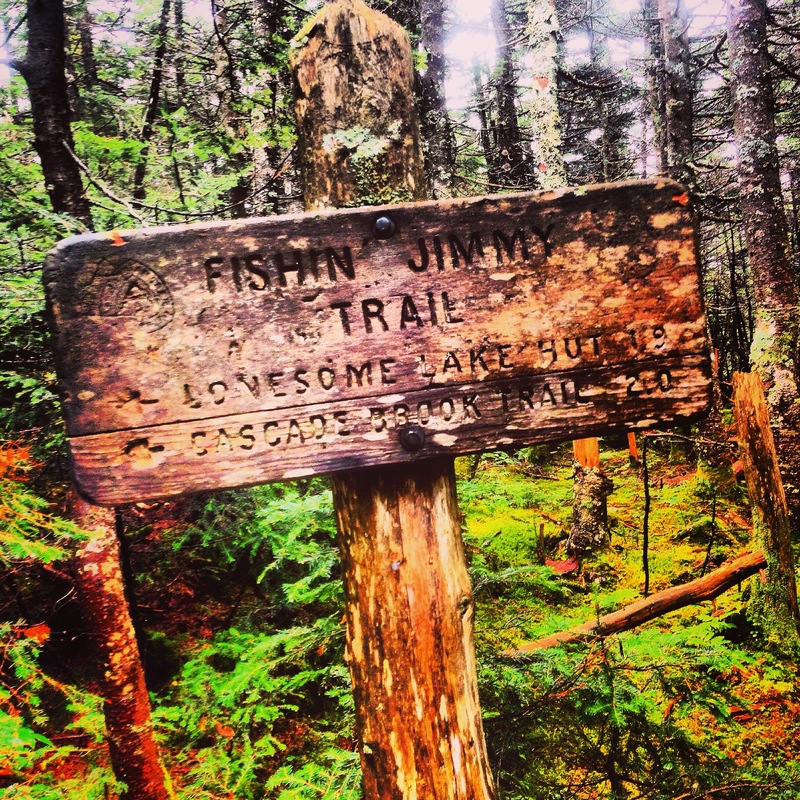 Then Cascade Brook to Fishin’ Jimmy to the Kinsman Ridge Trail. North Kinsman summit then South Kinsman summit, then turn around and follow Kinsman Ridge Trail all the way to Cannon. Then down to the 2nd car. Things went pretty much to plan for the first two peaks. We were hoping for more “runnable” trails, but of course thats all relative, and we found very little of it to be runnable on the way out. 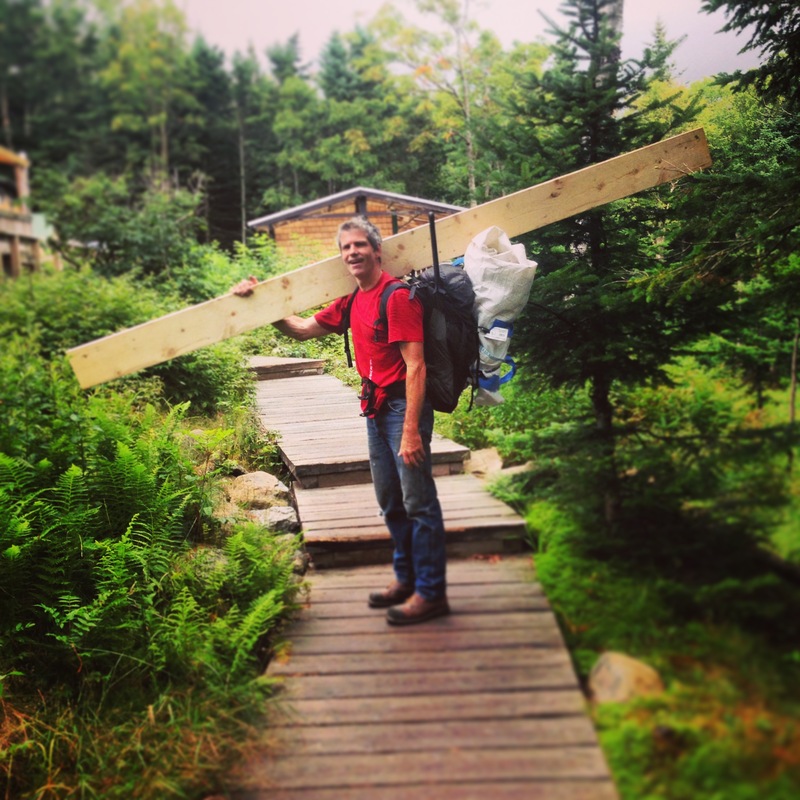 Early in the climb up to Lonesome Lake, we found ourselves behind an AMC employee who was carrying a 12 foot 2×6 up to the hut. We were quickly humbled as we could only make up ground on him if we ran! AMC guy who we tried to keep up with going up Lonesome Lake Trail. 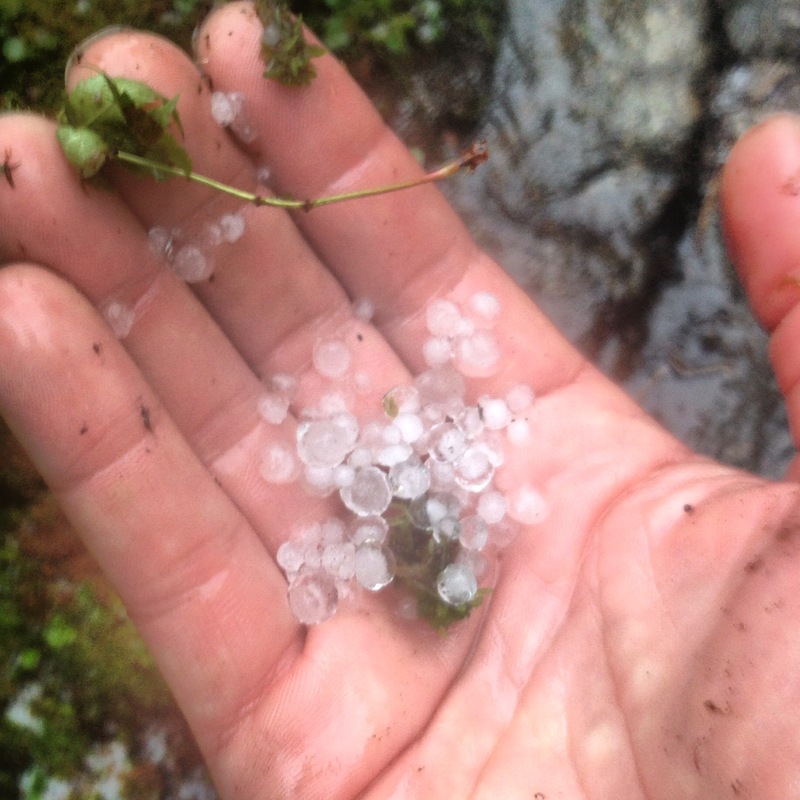 On the ridge between North and South Kinsman we were greeted with a little hail storm! The pea sized pellets were not quite enough to make us seek cover, but they were definitely enough to keep us honest! We pushed on for the South Kinsman summit with a plan of making a decision about Cannon on the way back to the Kinsman Ridge/Fishin’ Jimmy junction. The weather actually seemed to be clearing up as we headed back, so we decided to go on and get Cannon as well. Very quickly though, we started seeing lightning strikes and thunder started moving in. After standing in the middle of the trail with dumb looks on our faces, a directly overhead thunder crack spurred us to turn around and get off the mountain as quickly as we could. The thunder crack was so close that it sounded more like a fireworks display than thunder! greeted by a hail storm on the ridge between the Kinsmans. We were able to move quickly back to the Fishin’ Jimmy junction and get back down to Lonesome Lake mixing in a good amount of running on the way down to the car. We were a bit bummed to leave Cannon lying out there, but we made the right decision in being safe. I’m still thrilled to have started the journey towards someday having climbed all 48 of the White Mountain’s 4,000 footers! Nice trail report Anthony! Too bad about the weather! 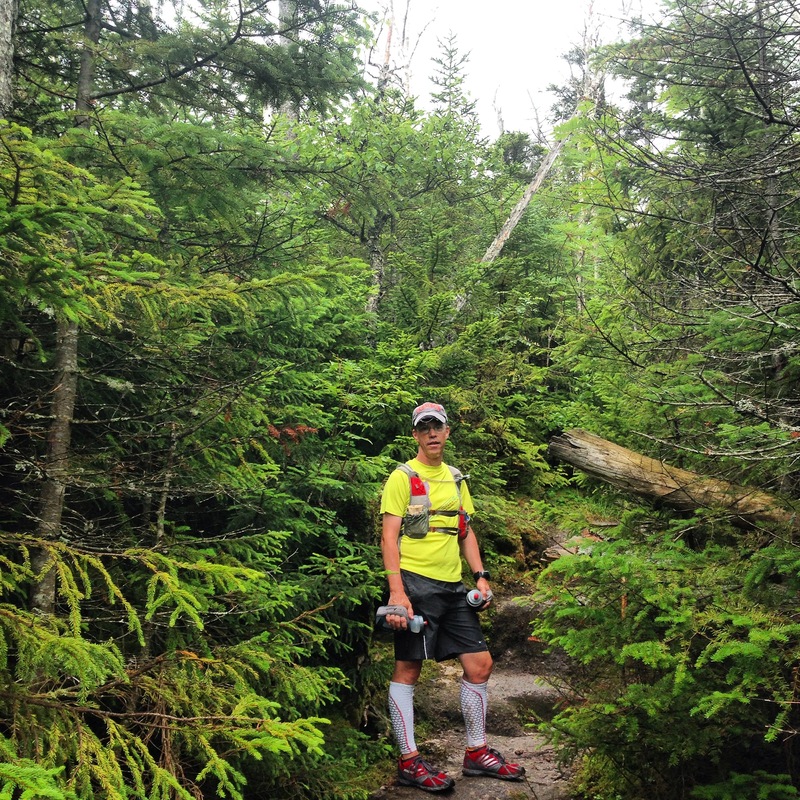 The Kinsman-Cannon loop is a lot of fun! When you do Tom, Field & Willey I recommend including Hale (park at Zealand Trailhead). Go up Hale Brook trail, down Lend A Hand (past Zealand Hut), across A-Z, up the backside of Tom/Field, across & down off Willey, onto AT (past Ethan Pond & Thoreau Falls) through the Zealand Wilderness and back to Zealand Trail parking lot. There are 3 sections that will definitely slow you down- up Hale Brook trail, the last section of the A-Z trail, & the descent from Willey, but I definitely recommend it for the trails, falls & views.